I am going to give you a step-by-step guide, in a particular sequence, of actions to take, one after the other, on your road to assisting Rosacea control. The faster you work through each step, and the more steps you take, the sooner and further you ‘travel’ on your journey to Rosacea remission. 1. Realise that something can be done about it. Let go of the idea that Rosacea is incurable. Medical opinion does not deny that Rosacea can and does go into remission. In my experience, those clients that knew the possibility existed, for something to be done about it, and who believed they were up to the challenge of doing whatever was necessary, not only achieved their goal, but also had the swiftest outcomes. 2. Take several pictures of yourself in different situations; for example with/without make-up, during a flushing episode; at times when you consider your appearance to be at its best and worse. For many sufferers, it is after a shower/bath, for others it is after eating, and the list goes on. These pictures are for your record. 3. Start moving towards a healthier diet by first excluding wheat and cow’s milk products from your diet. 4. Address any addiction you have to sugar, and avoid it by first listing what you will replace frequent sugary foods with, and then stock up on your alternatives. 5. Address your water intake and the quality of your water. Investing in a counter-top water filter jug is the least expensive option. 6. If you have a high speed, quality blender / juicer, find recipes you enjoy. Include these in your diet frequently and ensure your ingredients are organic. 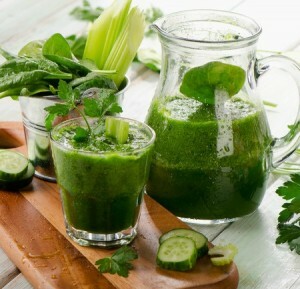 Smoothies and juices are an excellent way to take in abundant nutrients with few calories and little volume. 7. Continue to implement my dietary recommendations given in the newsletters. 8. Within a short time, you should have reached a healthier diet with reduced toxin-intake. Once all unhealthy foods are excluded, and you are eating more nourishing foods, you should experience the following: a little weight loss (if you are carrying extra), more restful sleep, less emotional stress, a more positive mental state towards life and living, and you should notice a change in your bathroom habits and generally be feeling better in your overall physical wellness. 9. Make an appointment at the Pulse Light Clinic for a free consultation. Specify that you want to address Rosacea. Your personal case will be assessed by a qualified professional with years of experience, and I promise you will be in expert hands. Pulse Light Clinic staff are very understanding and compassionate; they do go that extra mile to get results. 10. Make an appointment for a Nutritional Consultation with me, Lisa Borg, at the Pulse Light Clinic, details will be given at time of booking. 12. Follow your personalised Nutritional Programme while maintaining a healthy and nutritious diet and take advantage of the online weekly support. Always attend your follow up appointments. 13. At the end of your Nutritional Programme, and at which stage you will have undergone several IPL sessions, make another set of photographs and compare to the pictures you took in step 2. For many, you will have reached your destination of Rosacea remission! I have been working with the Pulse Light Clinic for many years now, and in our experience the combination approach to Rosacea, using expert IPL delivery, along with Nutritional Management bring about unique results.